A little floor to sweep. A little sweet to bake. A little flower to grow. 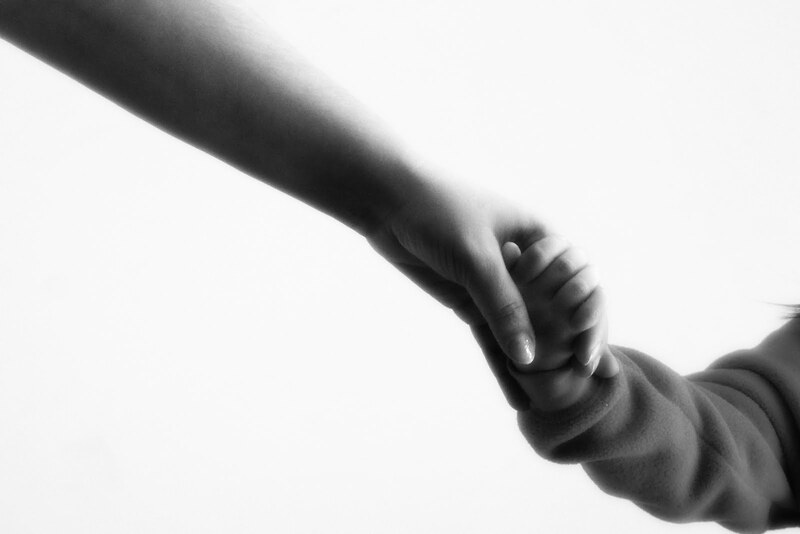 A little hand to cling. A little life to bless. Life has no joy as deep. A STALWART, booted mountaineer was kneeling at the feet of the prettiest widow in the West Virginia hills. As he knelt they looked steadily into each other’s eyes. Each seemed to be challenging the other. The woman was the widow of Sid Hatfield, famous feudist and gun-fighter in the Mingo mine wars. And the man was Sylvester Petry, State trooper and member of the “Law and Order” clan that had slain Hatfield. It was the man who broke the silence with a startling question. “Oh, how can you dare to think of such a thing?” the young widow gasped. “I dare because you did it once before,” replied her suitor — and she lowered her eyes, for it was true. On this former occasion she had been the eighteen-year-old girl-bride of C.C. Testaman, Mayor of the little town of Matewan. 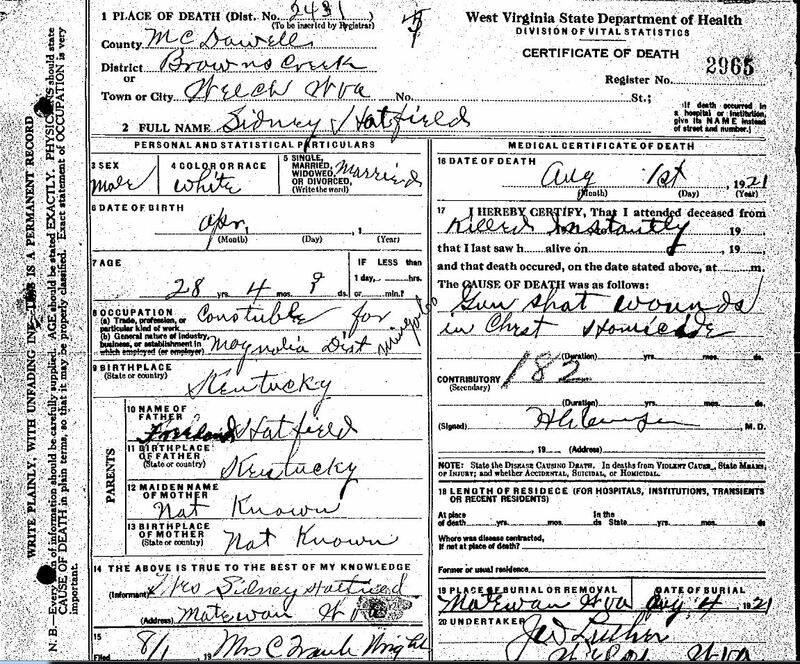 Testaman was shot dead in the famous “Matewan massacrre” — a battle between strike sympathizers and detectives. And a State witness swore that the shot was fired by Hatfield, who was then acting as Mayor Testaman’s own chief of police. 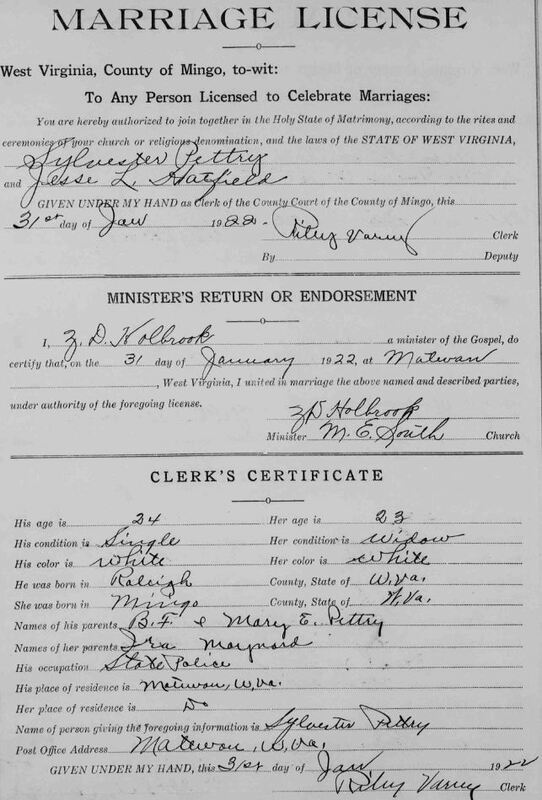 Two weeks later, Hatfield married Mrs. Testaman. 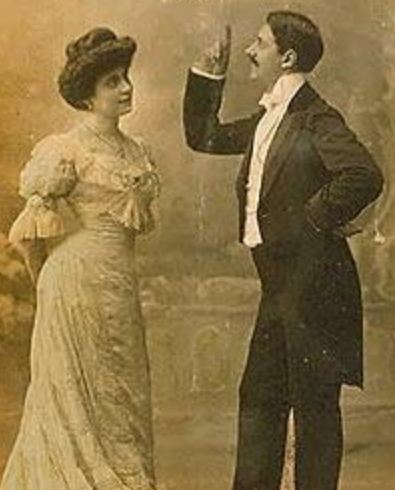 And now that Sid Hatfield, in his turn, had been laid in the grave, making his wife a “gun widow” for the second time, Sylvester Petry was asking her hand in a third marriage. He must have read surrender in her lowered eyes, for they were wedded within a week, and the lovely girl of the feud country found herself a bride for the third time within the brief period of less than eighteen months. Three times the matrimonial wheel has spun for her. 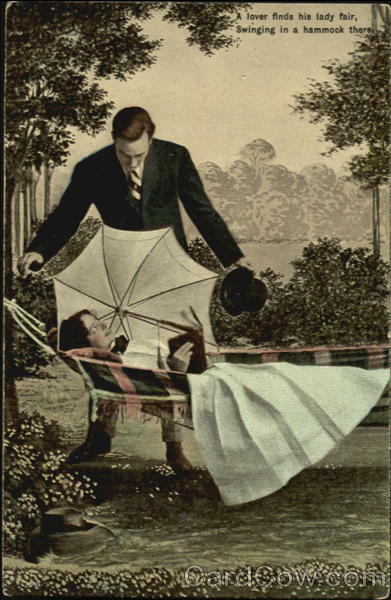 Three times she has been lifted for a brief time into the sunlight of love on the apex of its upward swing, and twice she has been dropped suddenly into the shadows of widowhood when flashing guns set the wheel revolving again. Though scarcely twenty years of age, she has already lived long, if life can bee measured by tragedy, romance and the mysterious play of fate. She was born in the mountains of West Virginia, and the grim setting of her life has never changed. She was herself of the “mountain people” — a daughter of the mysterious ragged hills whose richness in coal has brought about feuds, and massacres and strife and civil warfare. 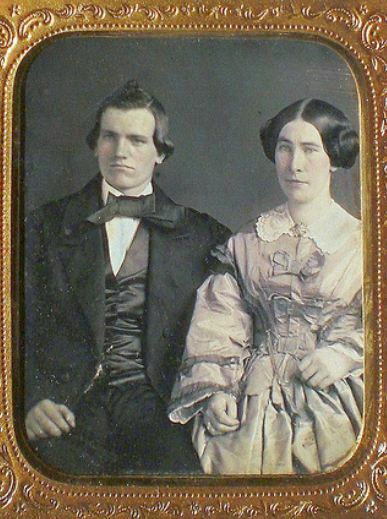 There was no known feud between Testaman and Hatfield, but prior to the street battle in which Testaman was slain, according to whispers which were repeated openly in court and became part of the official record, Hatfield, the chief of police, had noted the beauty of Testaman’s girl bride, by far the most attractive woman in the little mountain town. Then came the fatal morning of the “Matewan massacre,” on May 19, 1920. 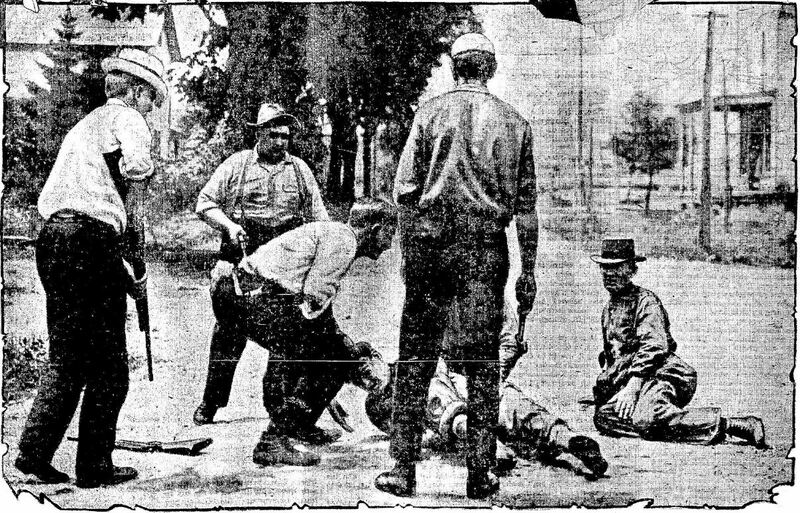 A band of coal mine detectives, clothed with State authority, had entered Matewan and evicted a number of families of striking miners, whose houses were wanted for imported strike breakers. Though the Mayor, the chief of police and practically the whole population of the town were their bitter enemies, the detectives were allowed to complete their work, while the residents watched in sullen silence. The detectives, nearly a score of them, were assembled on the platform of the railroad station, in the sunshine, waiting for a train that was due within an hour. Mayor Testaman and a few citizens were standing near. Hatfield was nowhere in sight. Suddenly a single shot rang out. Almost immediately a fusillade followed. The quiet scene was instantaneously changed to bloody confusion. Testaman lay writhing on the platform, mortally wounded. Several of the detectives were down, clutching at their breasts. And from doorways, from behind trees, from behind corners of houses, rifles and pistols were spitting fire. The detectives who had not been hit darted for shelter, returning the fire as they ran. More than a hundred shots were discharged. 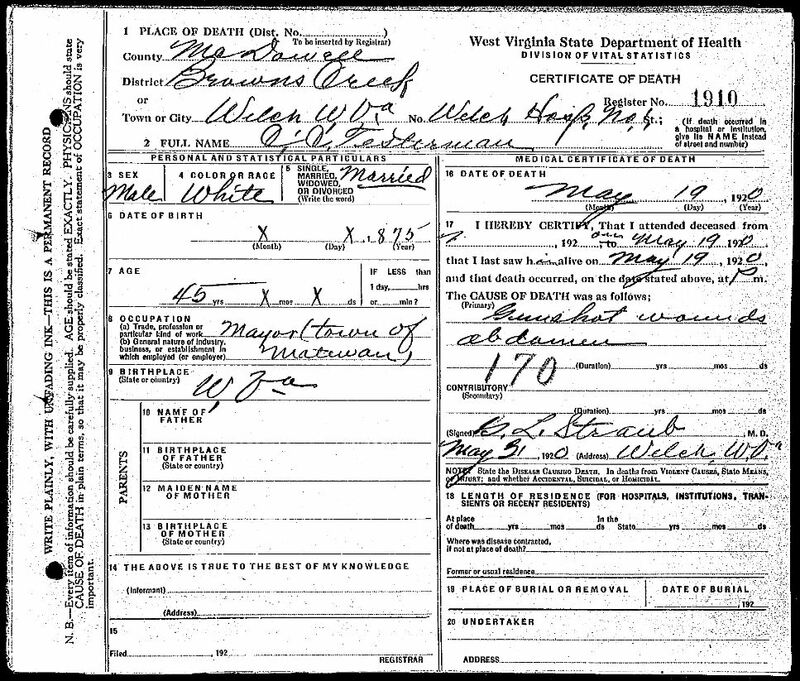 Ten men lay dead or dying in the streets of Matewan. 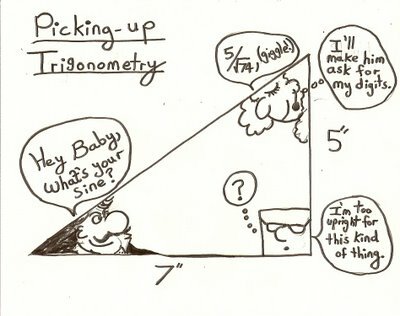 Seven were detectives, two were miners and the tenth was Mayor Testaman. It occurred to no one at the time that Sid Hatfield could have had anything to do with the slaying of Testaman, for they were friends and were both on the same side in the mining feud. Or if it did occur to any one, he kept silent. The principal defendant was the rugged, youthful smiling Sid Hatfield — now a bride-groom. But he wasn’t on trial for killing Testaman. 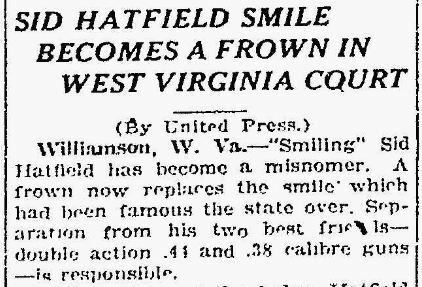 He and the others were on trial for the battle with the detectives, and “Smiling Sid” surrounded by his friends in the heart of Mingo County, was confident of a general acquittal.His confidence was in a way justified. Though still a young man he was a feared and famous character. He was a cousin of the noted “Devil Anse” Hatfield, and a member of the noted Hatfield clan, known throughout all America in connection with the Hatfield-McCoy feud that raged for many years along the West Virginia-Kentucky border. Witness after witness was examined, and “Smiling Sid” still smiled. 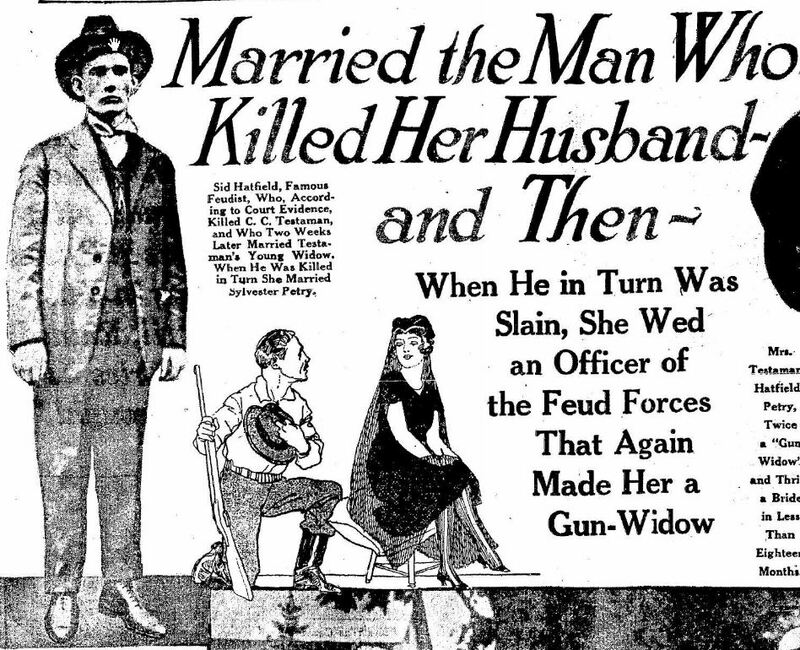 Beside him sat his bride, the “gun-widow” of a few weeks.Suddenly the name of Testaman was heard from the witness stand — and just as suddenly Sid Hatfield ceased to smile. A silence like death filled the courthouse. A hundred pairs of eyes stared at Hatfield, whose jaw was set in grim defiance, and at the woman who was flushing crimson by his side. Captain S.B. Avis, attorney associated with the prosecution, lifted an accusing arm and pointed dramatically to the pair. 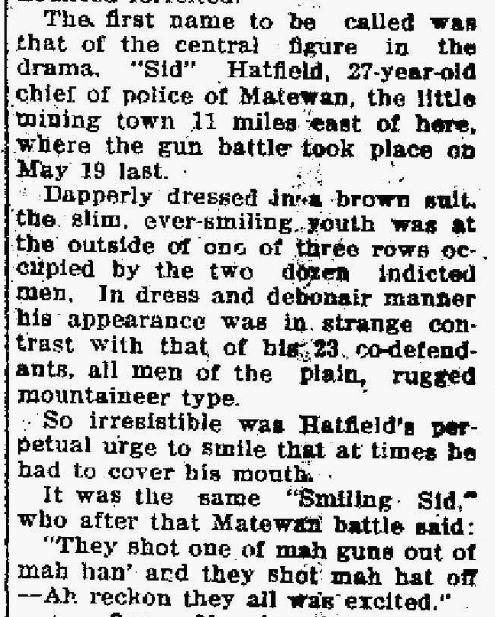 “Smiling Sid” and his bride resumed their honeymoon at Matewan. A jewelry store which Mayor Testaman had owned was converted by Hatfield into a hardware store, which sold among other things, arms and ammunition. This store, it was said, became a popular meeting place for the striking miners, who recognized in his a leader. His sympathies were all on the side of the miners as opposed to the coal operators and the “Cossacks,” who were now in complete control of the district and were keeping a watchful eye on “Smiling Sid” and his companions. Sid was known as a dangerous character and a “two-gun” man. Hatfield, his boon companion, Ed Chambers, and several others later were arrested charged with participation in the shooting. On the day of the trial Mrs. Hatfield and Mrs. Chambers decided to accompany their husbands to Welch. It has never been proven in court exactly how Hatfield was slain. Just as he and Chambers, with their wives on their arms, approached the court house a shot rang out, followed by a fusillade. Hatfield and Chambers both fell dead, riddled with bullets. A group of “Cossacks” — detectives, the “law and order” men — stood on the staircase, holding smoking pistols. According to their story, they fired when they saw Sid reach toward his pocket. A pistol was picked up from beside the body of the slain “Two-gun man.” Reports were conflicting. Mrs. Hatfield declared that her husband was unarmed. But fate stood at her side. 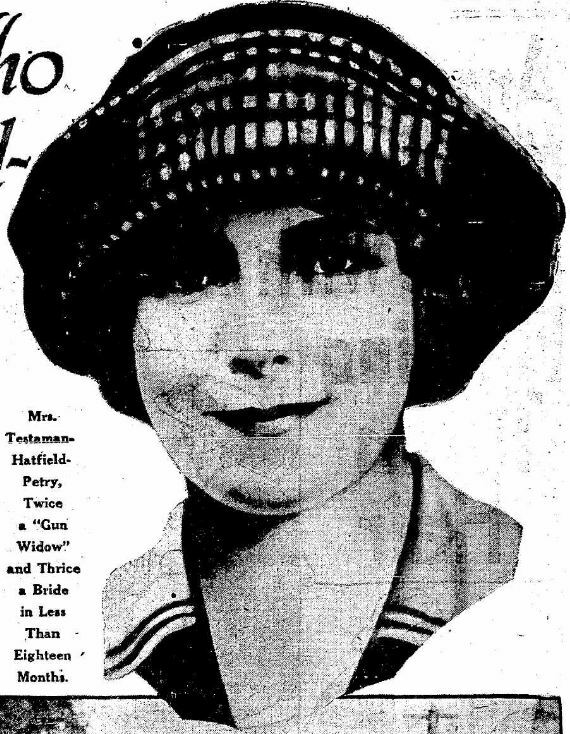 Six months later, almost to a day, she became Mrs. Sylvester Petry, wife of a member of the law-and-order armed force that embraced the man or men who had slain her second husband. 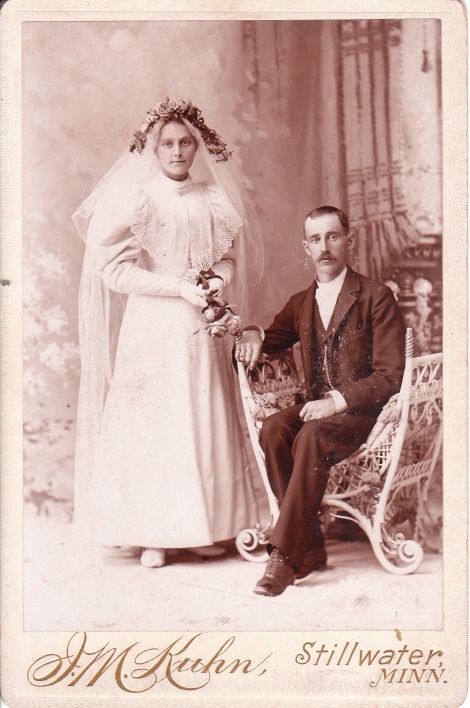 Miss Gertrude Murdoch, 26, principal of the high school at Tappen, N.D., was married to 17-year old Gordon Bell the other day, but young Bell will live with his parents until he has completed his high school course. Mrs. Bell, is from a prominent Valley City, N.D. Family. TAPPEN, N.D., Feb. 7. — (AP) — Miss Gertrude Murdoch, 27, principal of Tappen high school, and Gordon Bell, 17, sophomore in the school, were married recently and the teacher-wife and her young husband are attending their classes after a one-day honeymoon. The school board has given Mrs. Bell permission to keep her husband in her classes and will retain her as principal. The husband is continuing to live with his parents while Mrs. Bell lives with the Dr. J.S. Whitson family. The marriage took place at Steele, January 29, it was revealed today. Young Bell will finish high school and then go to college. Dr. Whitson, friend of the newlyweds, said today. FYI — The marriage did not last. By 1944, she was listed in the voter registration as Mrs. Gertrude M. Kellogg, teacher, in Contra Costa County, California. Although Gordon Bell’s Social Security number appears to have been issued in California, it seems he later lived in Bismarck, N.D., and was married to someone else. The stranger said he did not know that he wanted a divorce. What he mostly feared was that his wife would run him in debt all over the country. What his client understood him to mean by posting, remains a mystery to this day. He said, in a meditative way the he didn’t know where she had gone, and beside, that she was fully as strong as he was, and he didn’t believe he could post her, even if he knew where to find her. WHEREAS my wife Anne, late widow of David Risher, had left my bed and board without just cause, on the 26th inst. — This is therefore to caution all persons, from trusting or harboring her on my account, as I am determined to pay no debts of her contracting after this date. NOTICE. — WHEREAS MY WIFE, Anna Rolland, has left my bed and board I shall pay no more bills of her contracting from this date. 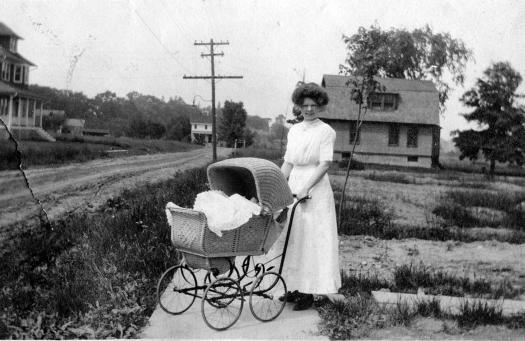 NOTICE is hereby given to all persons, that my wife Hannah Fosdick has left my bed and board, and has taken one of my children with her, John H. Fosdick. I hereby forbid all persons harboring or trusting her on my account, or in behalf of the child, as I will pay no debts of her contracting after this date; as I will support the child when returned to me at Norwalk. I, the undersigned, caution the Public against trusting my Wife LYDIA M’WHIRTER — she having left my bed and board last October, without any provocation and against my consent. I will not pay any debts of her contracting from this date. WHEREAS my wife Elvira Bridges, without any good cause or reasonable excuse there for, has left my bed and board and absconded with my two children this is to caution all persons from harboring her or them and to give notice that I shall pay no debts of her contracting or pay any expense for their or either of their support having suitably provided for them at my house in Bucksport. MY wife, REBECCA, left my bed and board, and refuses to live with me under any consideration whatever, after intercessions and propositions of every kind, that an affectionate husband could make. I, therefore, hereby warn all persons not to harbor or trust her on my account, as I have arrangements made for her board, and by calling on me, or on Messrs. Wareing & Benson, or C. & J. Culp, she can have information, and be conducted to the house. Plymouth, Huron County, Nov. 16, 1842. Pass Him Round. — Mrs. Elizabeth Peterman, of Rochester, Fulton county, Indiana, thus notices her absconding husband: “Left my bed and board, last August, thereby making my expenses lighter, my dearly beloved companion, David Peterman, without any just cause or provocation. All the old maids and young girls are hereby forewarned against harboring or trusting him on my account, as I am determined not to be accountable for his debts, or, more especially, for his conduct. Papers will please copy, and oblige a female who is rejoicing at her happy riddance.” — Indiana Blade. Whereas my wife Josephine has left my bed and board without just cause or provocation, all persons are hereby forbidden to trust or harbor her on my account, as I shall pay no debts of her contracting hereafter. From William O. or William’s dad. Have sent him home to his relation. Josie has the best of it in wit if nothing else. To whom it may concern: All persons are hereby notified that Joseph Leipert has left my bed and board without any cause or reason therefor, and that hereafter I will not be responsible for any board, lodging, clothing, food, expenses, or other article furnished him. Dated at Corning, Iowa, February 26, 1898. 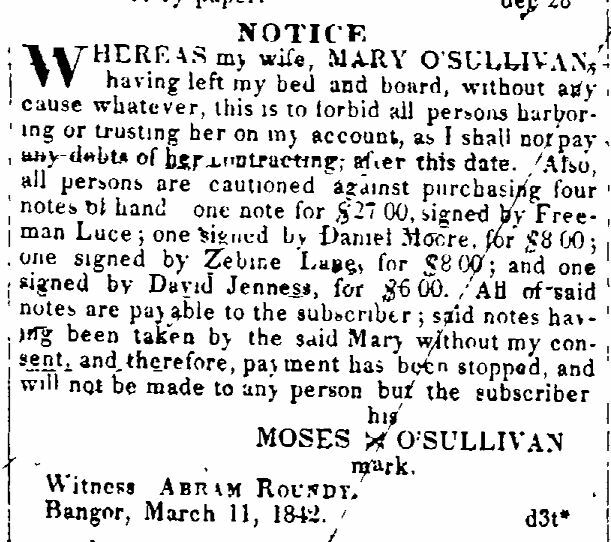 My husband, John S. Sanders, having left my bed and board, notice is hereby given the public not to sell him anything in my name as I will not be responsible for debts or bills contracted by him. 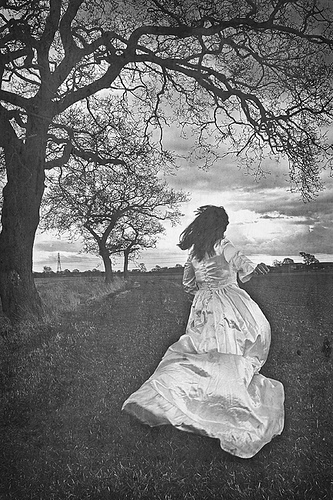 My wife, Francis Catching, having separated from me, and having left my bed and board without any just cause or provocation, I hereby notify all persons not to trust or give her credit on my account, as I will pay no bills, debts, or obligations contracted by her from and after this date, of any nature or kind whatever. Missoula, M.T., Feb. 23, 1883. MY WIFE, Mrs. I.H. Tupen, having left my bed and board, I will not be responsible for any debts contracted by her after this date, December 11, 1919. Irving H. Tupen. P.S. — Her name formerly was Miss Avy Alice Cutlip.